Most clinical neuropsychologists have a division of research and clinical interests that include two general domains: an area of cognitive function and its disorder, and a major neurological illness. In my case these correspond to memory disorder and traumatic brain injury. These are areas I investigated early in my career and have characterized a large part of my work, although the focus and methods have changed. The other influences were manifested as simple opportunities that emerged over the years to conduct studies with clinical populations and medical settings that were available. Two view of my corpus callosum using Diffusion Tensor Imaging (See below). The studies of traumatic brain injury included an important paper on predicting cognitive outcome from early severity measures, such as coma level. The study was unique in the inclusion of estimates of premorbid cognitive function. The findings indicated that pre-injury cognitive status predicts outcome from traumatic injuries as well as severity measures, such as coma level. The paper was reprinted in the Yearbook of Critical Care Medicine. These studies also included a tracking protocol conducted at Hahnemann University Hospital that resulted in two new measures of cognitive function for use in the critical care examination of trauma patients, The Hahnemann Orientation and Memory Examination (HOME) and the Williams Memory Screening Test (WMST). Both are available here as free pdf downloads: Brainmetric Assessment Resources. I also conducted preclinical studies of TBI drug treatments in animal models of trauma, and clinical trials of Cycloserine among people who sustained TBI. My interests in rehabilitation of traumatic brain injury is more of a clinical interest that a research focus. 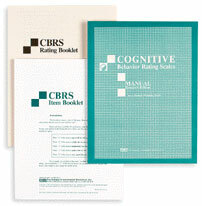 My focus has been on translating general models of psychosocial rehabilitation into cognitive retraining practices. During the same period, I also conducted a number of studies of childhood leukemia at St. Jude Childrens Hospital. These included evaluation of four prophylactic treatments, studies of CNS relapse and unusual leukemia cases. This work culminated in a major review paper on the cognitive late effects of CNS treatments for leukemia. Most unique research in neuropsychology requires the invention of new measurement tools. In addition, neuropsychological assessment is still an evolving technology. My investigations have included the development of numerous neuropsychological test instruments, including the Memory Assessment Scales and the Cognitive Behavior Rating Scales. I have also studied tests and have a strong interest in measurement theory, the theoretical basis for validity, the detection of malingering and norming. My invention of tests includes numerous computer-mediated tests, many of which were invented to study new aspects of cognitive neuroscience or clinical neuropsychology that can only be measured using computer-mediated technology. Since the publication of Cognitive Approaches to Neuropsychology, I have maintained an interest and watch on the integration of cognitive psychology and neuropsychology. That has come to fruition as cognitive neuroscience. Numerous investigators from traditional neuroscience have joined into the investigation of cognition and numerous cognitive psychologists have joined into the investigation of neuroscience. The result is a marvelous infusion that has resulted in an explosion of new theorizing, findings and methods. Among the lesion studies in this area, I disovered that time estimation or construction is the result of reasoning about memories that have an implicit time structure and contain explicit time cues. Patients with memory disorder underestimate the passage of time because they do not have these memories. I also conducted studies of Auditory Neglect, a syndrome in which the patient does not hear sound from the ear opposite the brain lesion. Rand Coleman and I discovered that this neglect can be attenuated or diminished when the sounds presented to each ear are language sounds that have related semantic content. These sounds presumably activate the language centers and the cognitive system percieves both sounds. Unrelated language sounds were neglected. Functional Magnetic Resonance Imaging (fMRI) is a new area for me. It represents a new, exciting method to examine tha brain. The number of studies using fMRI has grown exponentially over recent years. Since human brain function can now be directly examined, the fMRI method has become the cutting edge of cognitive neuroscience. My focus has been on clinical applications of fMRI and Diffusion Tensor Imaging (DTI). We have also examined using the technique to measure deception and lying. Two recent clinical cases of brain tumor we recently examined using fMRI. Both patients were naming pictures of common objects while their brains were scanned using the fMRI method. The patient on the left has a large meningioma over the left parietal-temporal lobe. Language center activation defined the margins of the tumor. Language function was represented in the cortex under the tumor. The patient on the right has a large astrocytoma in the left temporal lobe. The scan indicates no activation of the left occipital lobe. Presumably the tumor interferred with the function of neurons connecting the left lateral geniculate body to the left occipital lobe. Following the scan, it was observed that the patient was unable to see any information presented in the upper right visual field (right upper quadrantanopsia). I usually teach Statistics, Sensation & Perception and Neuropsychological Assessment. I am very interested in e-learning and interactive computer applications in teaching. My current projects are focused on three areas: 1) fMRI Dynamic Causal Modeling in the study of emotion and memory; 2) studies of visual and auditory neglect; 3) development and study of new computer-mediated neuropsychological tests. Dynamic Causal Modeling and connectivity models are new methods to examine theories of the interrelationship of brain structures using information generated by fMRI procedures. My studies of neglect will focus on the nature and shape of the neglected and intact visual fields; studies of auditory neglect include using auditory stimuli to diminish the neglect. Finally, it seems I am always in the process of designing and studying the application of new technology to neuropsychological assessment. In this case, I am working on computer methods to map the visual fields, a new test of semantic knowledge and application of the LiveScribe Pen to study and measure performance on motor coordination, drawing and writing tests.